Wondering why your bounce rate is so high and people are not sticking around? Here are some methods you should consider to improve user engagement with your content, conversion rates and sales. Bounce rate is the percentage of single page sessions or visits where the person didn’t engage further than the one page within your site. You shouldn’t worry about the high bounce rate if your site visitors are meant to find what they were looking for on a single page. But if it’s important for your site that users stick around for either reading more content or going through further pages that lead towards conversion, then you should review your options for reducing the bounce rate. By decreasing the bounce rate you can improve your ability to engage more users and eventually get them to convert. You can identify your worst performing content by looking at the bounce rate in the Landing Pages report (under Behaviour > Site Content). If there is a high percentage of people leaving the pages without continuing their journey, then review those pages with the suggestions below. You should also check the average time spent on those pages. If users are leaving after a short amount of time, then you should look closely at what may be driving them away and if there are any improvements you can make to keep the visitor on the page for longer, or how to encourage them to visit other pages. Users might leave your site after seeing a single page that contained the information they were looking for. If they got what they wanted and don’t care about actively exploring your website, then think about similar pages within your site that might be of interest to your users, and link to them within the content. This can be applied to any pages from product and features to blog and about your team. 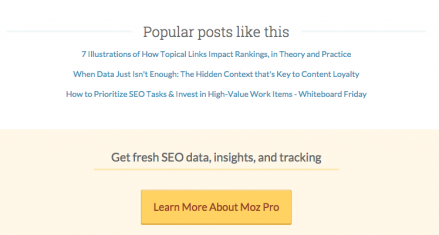 Blog posts on Moz Blog are a great example of providing additional links that are useful and relevant. Your page loading time has a major impact on how quickly people will leave your site, which should be obvious to everyone. Slow site speed can be very discouraging to your potential customers and drive them away. How long would you wait for a page to load, before going elsewhere to a quicker website? 47% of users online expect the page to load in two seconds or less. The study cited in an article by Econsultancy is several years old so it is highly likely that people are even more impatient now, making the number of people abandoning the site even higher than the 40% it used to be. Check Google PageSpeed Insights for more detail. 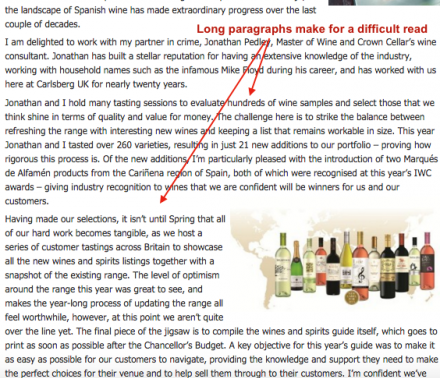 It is difficult to read large chunks of text that consists of long paragraphs, too much jargon and bad formatting. With our shorter attention span and higher impatience, the more user friendly you can make the text, the better for your site performance. If you have a landing page for converting visitors, whether it is for getting them to enquire or sign up, you need a relevant and prominent call to action (CTA). At Littledata we use CTA in two places on the landing page – top and bottom – to help the user enquire about our services much quicker. 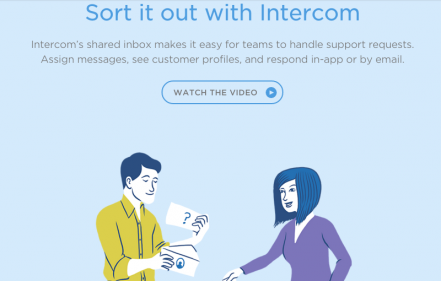 I also like Intercom product pages, which have some awesome animations and illustrations, and a call to action that fits the theme. Econsultancy has collected examples of some awesome calls to action so check them out for inspiration. If people expect to sign up for a free trial of your software product, but are instead taken to a homepage without a visible way of doing so, then expect a lot of bounces. 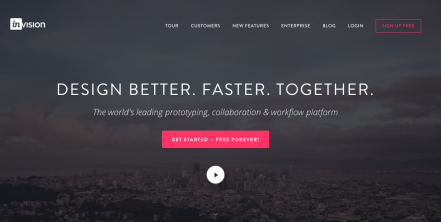 Invision uses Adwords to promote its free platform plan. Once you click through, you see immediately the content you expect and the option to sign up. If you purchase some of your traffic, make sure you check what information visitors see on your partners’ site before clicking on the link. When we recently ran a number of tests to improve the bounce rate for our client, we were baffled by some of the improvements not having much effect. After further investigation it came out that the visitors on the partner sites were getting the wrong information about what they were clicking on. No surprise then that they were leaving the site so soon. For search engine results, review your page titles and meta descriptions, and make sure they match what the person will see on the page when they click on it. By providing an external link that opens within the same window, you are forcing your users to leave your site. 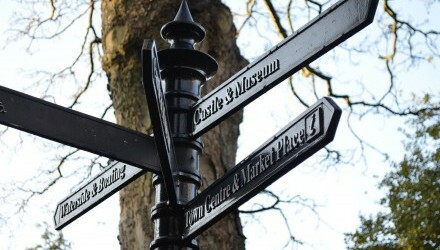 This will not only affect your bounce rate, but you will also be increasing your exit rate. Instead of interrupting their journey this way, set any external links to open in a new tab. Whilst some popups can be relevant to the content of the page and important for your aims, a badly timed popup can be very off-putting for your site users. Your landing page is there to convince the visitor to stay so if your popup displays instantly, you’re not letting them see your content that they came for in the first place. Test different timings to see what works best for your users, but I’d be surprised if quickly displaying popups reduce your bounce rate. Autoplaying random songs can also be highly annoying. Especially when it’s not the kind of song you listen to, on full blast, and hidden somewhere so it takes you ages to find the music to pause it. There are no quick wins when it comes to improving your bounce rate. Keep making the improvements with your reader in mind and testing which changes work for you best. So I hope this has been helpful. If you have any experiences with methods mentioned above, do share in the comments below. 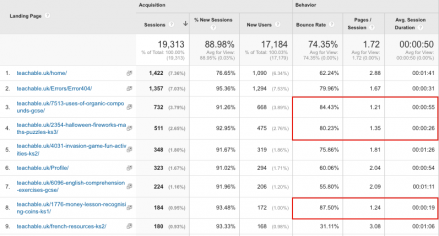 Stuck with reducing your bounce rate? Contact our certified Google Analytics specialists for help with your bounce rate or other advanced tracking.